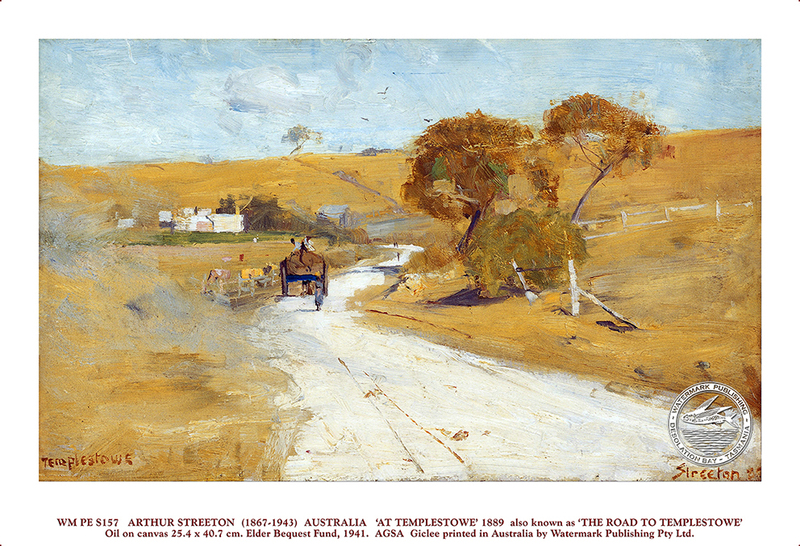 Arthur Streeton, nicknamed, ‘Smike’ was born at Mt. 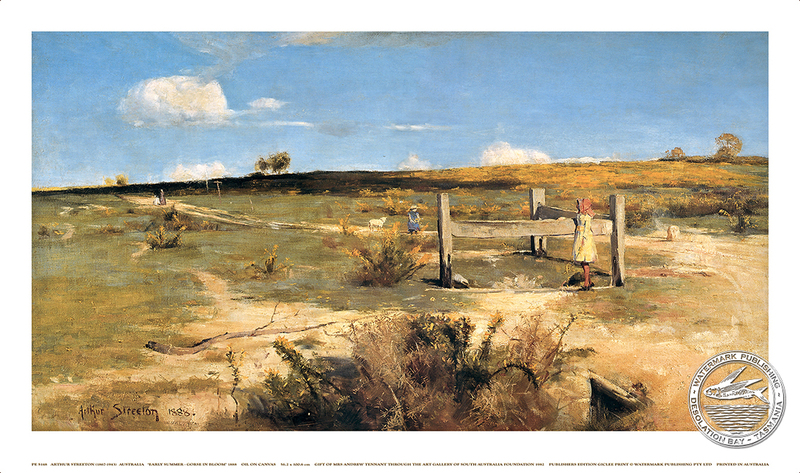 Duneed, near Geelong in Victoria on 8th April 1867. 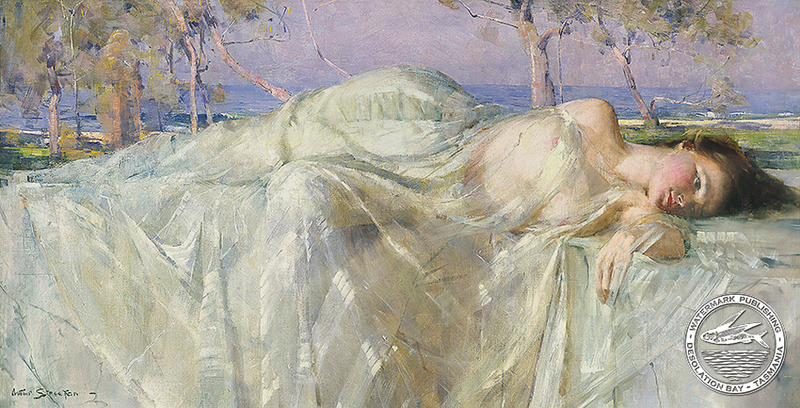 He studied drawing at the National Gallery School while at the same time he was apprenticed to a lithographer. 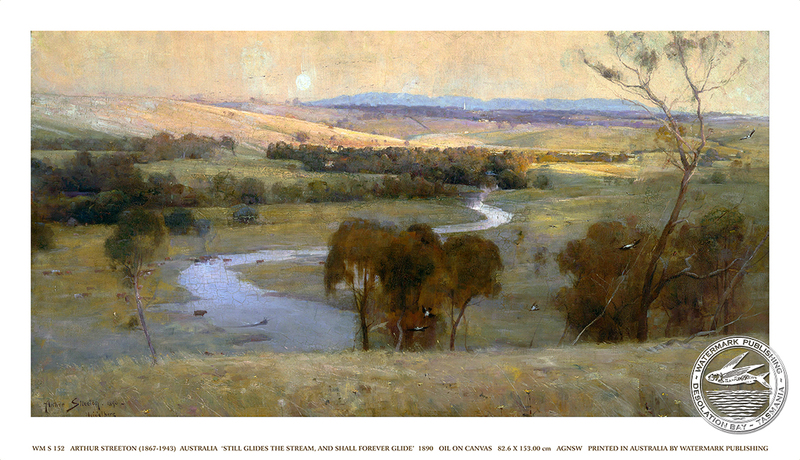 Tom Roberts and Frederick McCubbin discovered him painting at Beaumaris. 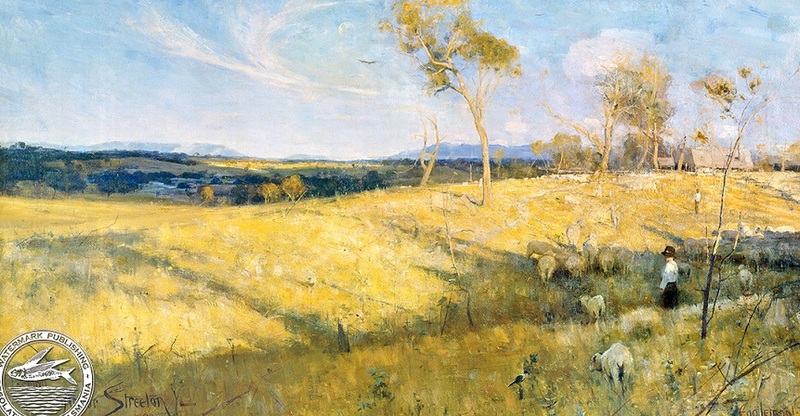 Together with Charles Conder they went on sketching camps to Box Hill, Mentone and Eaglemont, near Heidelberg. 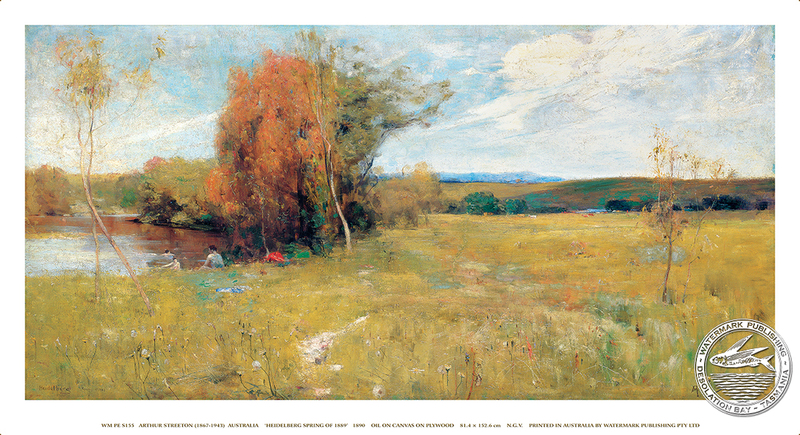 In 1899 they held the inaugural 5” x 7”Impressionist Exhibition in Melbourne. 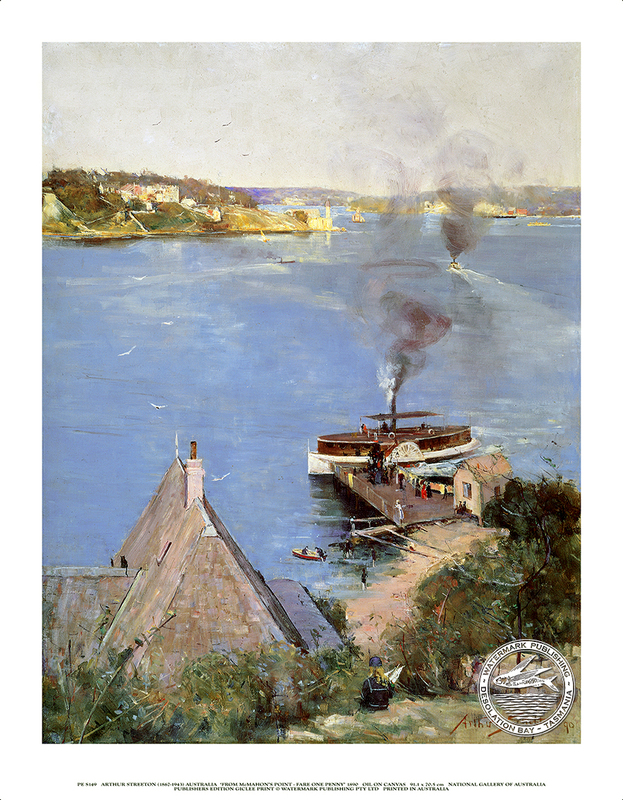 In 1890 they moved from Melbourne to Little Sirius Cove in Sydney. 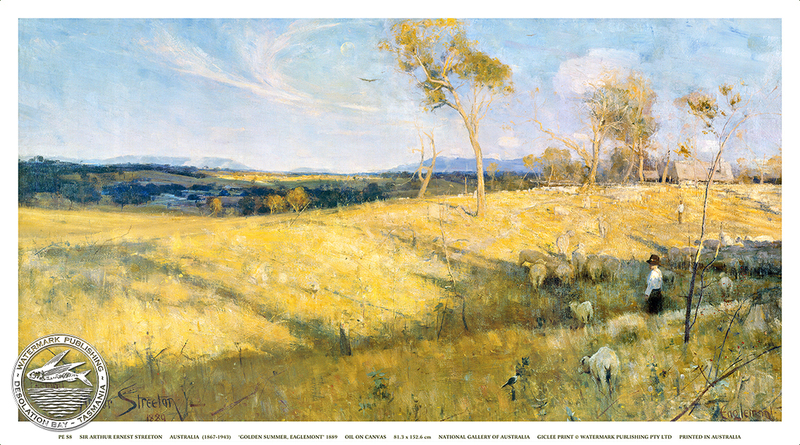 Here, the Art Gallery of New South Wales purchased many of the artworks they created. 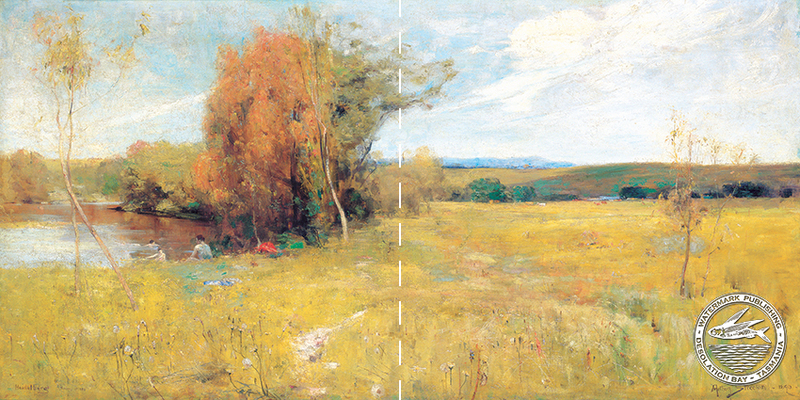 Seeking wider experience Streeton sailed for London in 1898. While living in Chelsea he painted impressions of London and the Thames. 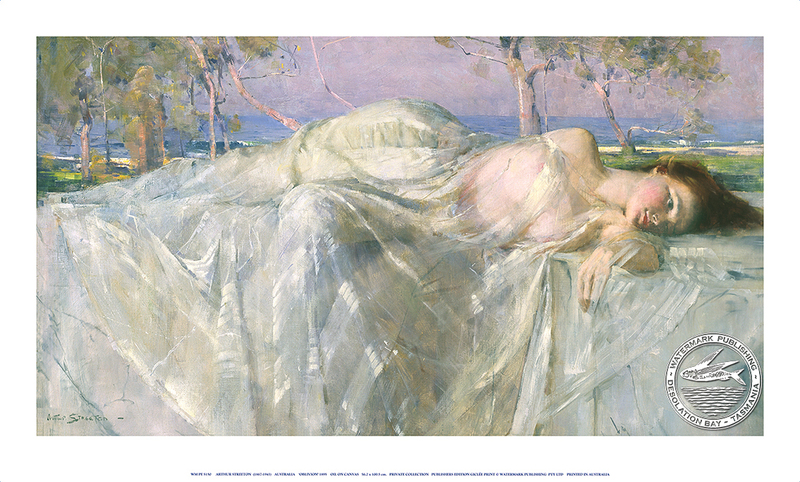 Returning to Melbourne in 1906, he held a very successful exhibition and sent paintings to Europe and America where he received considerable critical recognition. 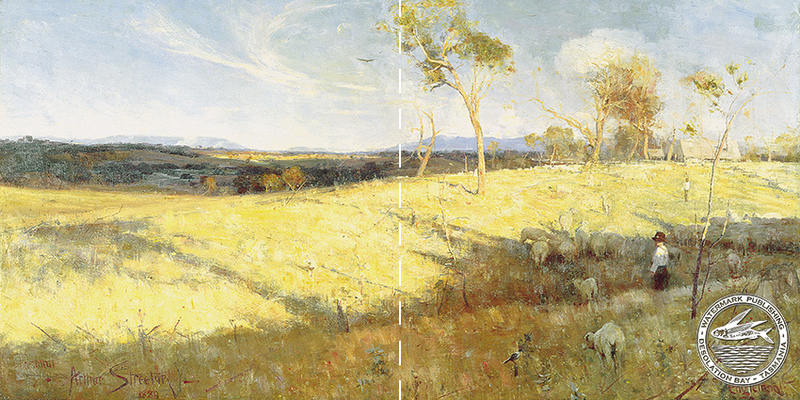 During World War I, Arthur Streeton was commissioned as an official War Artist in France and became a strong influence in creating a distinctive Australian school of landscape and still life painters – the Heidelberg School. 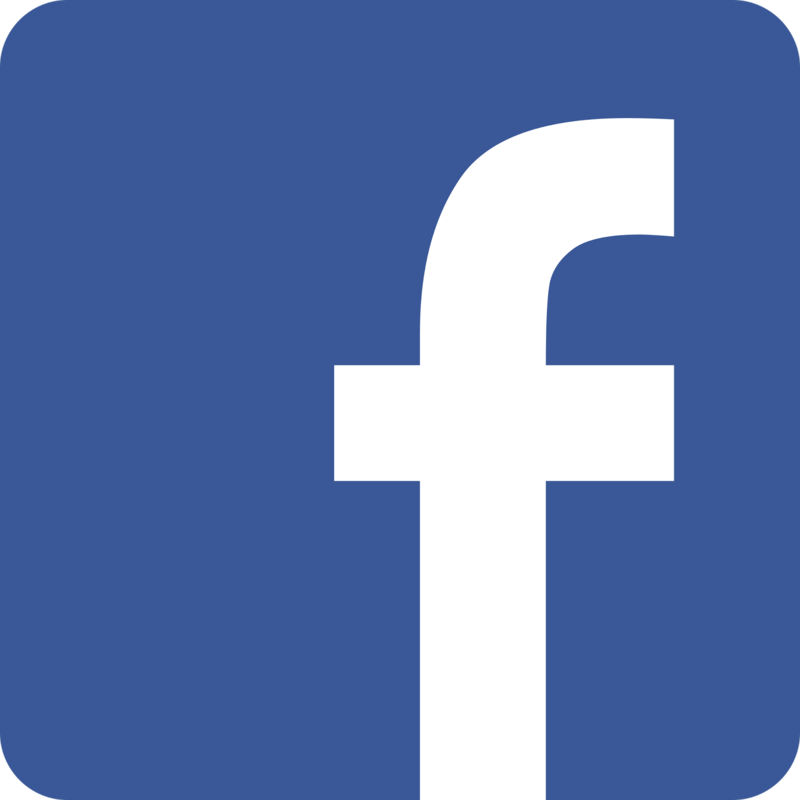 He maintained a high public profile and was knighted in 1937. Finally he settled down in the lush greenery of Olinda, Victoria, where he died in 1943. 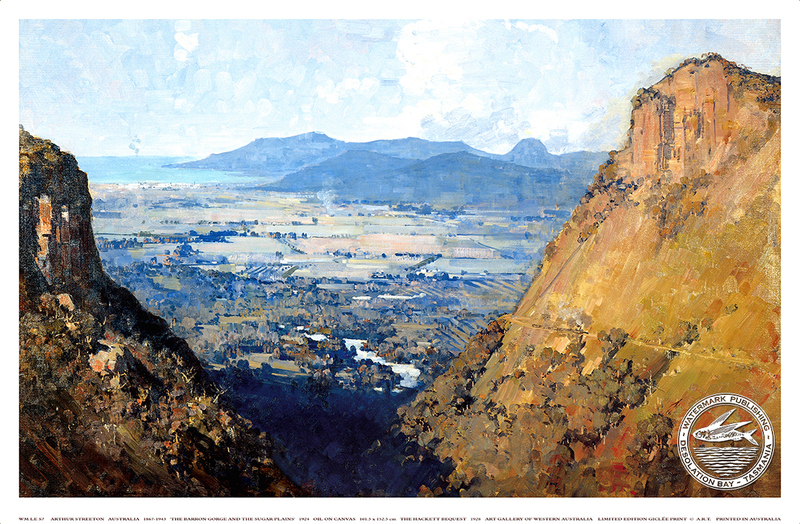 ”His paintings are full of vitality, a fresh individual response to the land and an instinctive immediate reaction to the light and colour of Australia”.